Top of Lookout Mountain, the highest peak in the Ochoco National Forest. 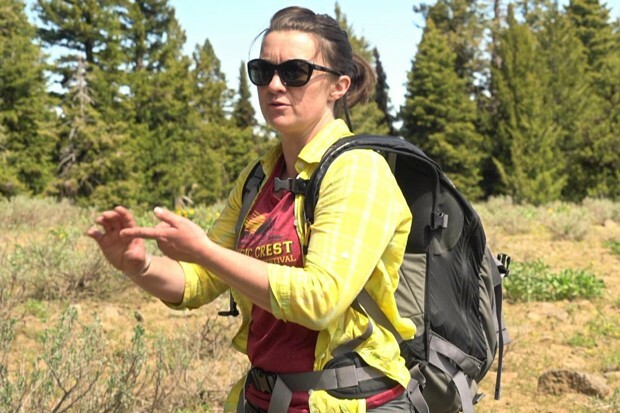 Sarah Cuddy coordinates conservation efforts in the Ochoco National Forest for Oregon Wild. She's worried about increased foot traffic in the woods. 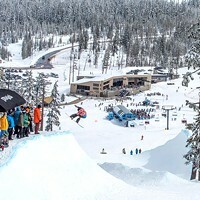 "With our population increase we're seeing an increase in recreation. The sheer volume of people on the trails now is way more than we've experienced in the past." Central Oregon's population growth bears out her concerns. Bend's population hovers around 90,000. According to the Population Research Center at Portland State University, there were 214,547 residents living in Central Oregon in 2015. By 2065, PSU is forecasting growth will nearly double, to 416,764. Trailheads at popular Deschutes National Forest locations such as Green Lakes, South Sister, Tam McArthur Rim and others are registering more use than ever before. As the Source reported this May, The Tam McArthur Rim trail has seen a 538 percent user increase in recent years. 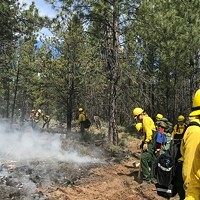 With that increased use in the Deschutes National Forest, Cuddy is seeing more people using the Ochoco National Forest east of Bend as an alternative. "Naturally, more people are looking for options for an off-the-beaten-track experience. The unappealing nature of some of those over-crowded trailheads in the Deschutes National Forest directly correlates to an increase in traffic in the Ochocos." Sarah Cuddy, Oregon Wild Ochocos coordinator. With that increase in foot traffic, Cuddy sees some abuse. 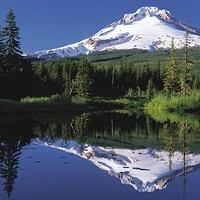 "It's not on the same scale as the Deschutes, but certainly there are similar patterns of use. We see campsites too close to creeks. Fire rings are being developed where they don't belong, and new roads are being punched in through meadows, particularly by ATV users going through riparian areas near the water." Oregon Wild has proposed the creation of a National Recreation Area for the Ochocos to protect the forest with stronger conservation measures. 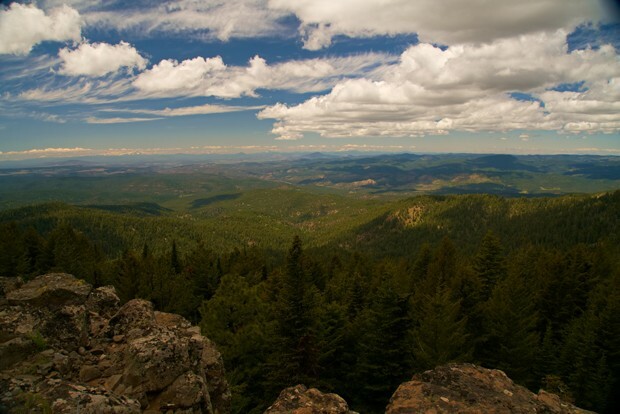 And, it wants to protect Lookout Mountain as a Wilderness Area within the National Recreation Area. Both proposals have been met with stiff opposition by Crook County and the Central Oregon Patriots, who fear more federal regulation will reduce recreational access and economic opportunities. 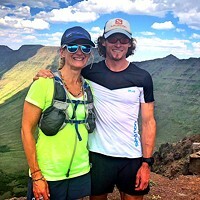 Cuddy recently led a group of hikers to the top of Lookout Mountain, the highest peak in the Ochocos, to discuss the sensitive nature of the area and its 14,000 acres of roadless terrain. The area is rich with cold streams, dense forests and meadows of wild flowers where elk are often heard bugling in the fall. Nearby, leaders with the Ochoco National Forest have proposed the creation of a controversial 137-mile off-highway vehicle trail, opposed by the Oregon Hunters Association, the Great Old Broads for Wilderness and the Oregon Department of Fish and Wildlife, who maintain motorized travel damages sensitive terrain and harms fish and wildlife. Larry Ulrich heads the Ochoco Trail Riders, which favors the proposed OHV trail. Ulrich says most off-highway vehicles will be well muffled, reducing noise. "Once this trail system is completed most people won't even realize it's there," he says. A judge's ruling on the off-highway trail proposal is expected in August. Decades of research conducted by the Starkey Experimental Forest and Range near La Grande suggests a negative impact on elk calving and migration from motorized traffic. Bill Littlefield of the Bend Chapter of the Oregon Hunters Association agrees and condemns the proposed Ochoco trail system. 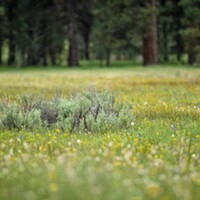 "This is summer sanctuary for elk. The trail will be open during calving time, so it will put pressure on elk and force them to move." Littlefield says elk will move to lower elevations where they often cause grazing conflict with ranchers and farmers worried about alfalfa and other crop damage. In an interview with Central Oregon Daily, members of the Great Old Broads for Wilderness also noted their concerns about growing crowds in the Three Sisters Wilderness while advocating a quota system for it. Joanne Richter heads up the local Bitterbrush Broad Band chapter and stated there is a proliferation of user-created trails ascending South Sister. "The main trail on the flats above Moraine Lake has become so wide you could drive a car on it and user-created trails are seen all through the rocks. You can tell the sensitive alpine plants are just being crushed." Hikers often avoid muddy areas and walk around them, creating new trails, Cuddy says. Cuddy contends most people are well intentioned and don't want to create a negative impact. 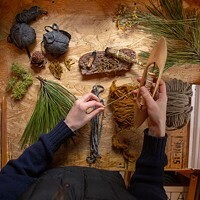 "But, sometimes there is a disconnect to the impact they are having on wildlife and wild places." A quota permit system, now under consideration by the Deschutes and Willamette National Forests, will help manage wilderness overcrowding, according to Cuddy. Noting successful permit systems in place across the west and in other areas of Oregon, she says, "It will be hard for the community to adapt to, but we will." Brian Jennings is a feature reporter for Central Oregon Daily. Watch his 'Great Outdoors' segments every Wednesday on KOHD at 6 pm and KBNZ at 7 pm.